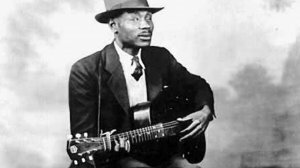 Unlike so many other bluesmen and women of his era, Blind Boy Fuller (1907-1941) lived a life that was well documented, enormously prolific and fairly profitable by the standards of the day. 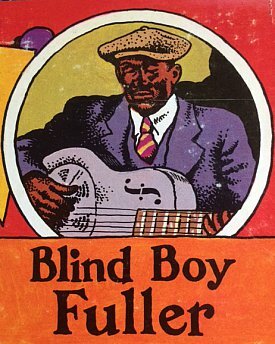 When he died at just 33 – complications following an heroic consumption of booze in his short life – his friend Brownie McGee recorded The Death of Blind Boy Fuller to commemorate the occasion. In '71 there was doco by Bruce Bastin about Fuller, Crying For The Carolines. On the liner notes to a Yazoo compilation in the late Seventies the liner note writer Steve Calt said Fuller “was the last commercially successful country blues artist whose style had either a regional basis or regional impact. He became a bestseller at a time when the the commercial blues market was pre-empted by slow Chicago blues bands”. Of course there were things in his life which were almost blues cliches: He was one of 10 children brought up in rural North Carolina, started out as a street performer, served time in jail (for shooting his wife in the leg) and he was something of a master when it came to double-entendre songs (Sweet Honey Hole, I Want Some of Your Pie, What's That Smells Like Fish and so on). His songs might have possessed a raw quality but they were also often sophisticated blends of various styles like rags, Piedmont blues and country music. He was also quite the finger-picker and even those who have never heard of him would probably be familiar with some of his songs like Truckin' My Blues Away (“keep on truckin' mama, truckin' my blues away”) Rag Mama Rag and the song which, with a slight adaptation, gave it's title to a Rolling Stones live album Get Your Yas Yas Out. Born Fulton Allen, his eye sight progressively deteriorated until by his early 20s he was completely blind. 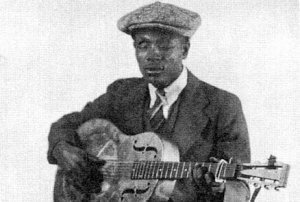 He assimilated the styles of other blues players he heard (notably Gary Davis and Blind Blake, which lead to accusations that he lacked originality) and got his lucky break when a white entrepreneur JB Long heard him in '35 and arranged for Fuller (and the albino washboard player George Washington known as Bull City Red) to recorded a dozen tunes in New York. The songs sold – Long renamed him Blind Boy Fuller – and from then on it seemed there was no stopping him. 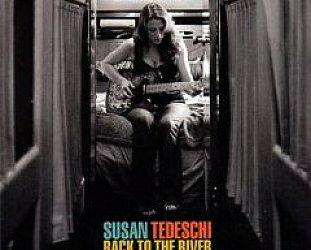 He went on to record around 130 songs for different labels, and they were incredibly diverse, from rags to deeply felt blues like Lost Lover Blues. He even recorded some spirituals as Brother George. 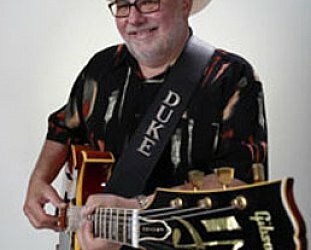 And oddly enough although there are only a few photos of Fuller two of the best known portray him playing guitar left and right handed. 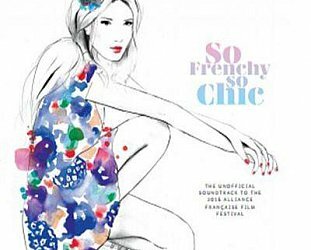 Lyrics from Fuller songs were either borrowed from others, or borrowed by others. Certainly he sang the lines “feel like snappin' my pistol in your face, goin' to let some graveyard be your resting place” in Bulldog Blues in '37 and they also appeared four years later in Can't Be Satisfied by Muddy Waters. On the other hand he would quote from others – Blind Blake's Early Morning Blues in You Never Can Tell, Blind Lemon Jefferson on Mamie, I'm Climbing on Top of the Hill owes a huge debt to the Mississippi Sheiks' Sitting on Top of the World for example – but that has always been in the nature of the blues. And rock has leaned on Fuller: Hot Tuna covered Keep on Truckin', Rory Gallagher used to perform Pistol Slapper Blues, Bob Dylan played Step It Up and Go. Dylan also recorded Baby Let Me Follow You Down on his debut album, a song which Eric Von Schmidt had adapted from Fuller's Mama Let Me Lay It On You. Fuller played with harmonica master Sonny Terry, who would later team up with Brownie McGhee for even greater success. McGhee may not have written The Death of Blind Boy Fuller – the label on the 78 attributes it to Long and McGhee as “Blind Boy Fuller #2” – but his song was heartfelt and apparently Fuller asked him to carry his business on. To do that Long, it is said, gave him Fuller's guitar. 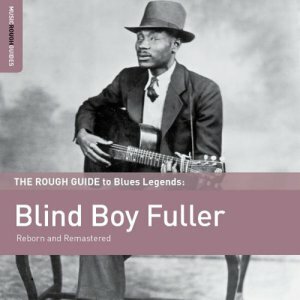 Because of his enduring popularity, it hasn't been that hard to get Blind Boy Fuller music, but the recently released 25-song collection The Rough Guide to Blues Legends: Blind Boy Fuller (Rough Guide/Southbound) is an excellent place to start. It doesn't deliver his more suggestive songs, but much of his cornerstone work is there. As Calt said in those liner notes for the Yazoo compilation, “None of Fuller's musical relatives managed to attain his blend of lovely showmanship and skillful technique which made him a stand-out in a region that abounded with polished instrumentalists. 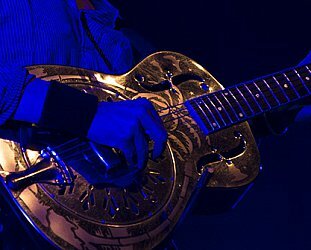 "Unlike most blues artists, Fuller can be completely engaging as both a party-oriented or 'jive' performer and a sombre bluesman”. The illustration at the top of this page is by Robert Crumb, from the cover of that Yazoo collection mentioned. This article was prompted by the vinyl compilation mentioned above being in a box of wonderful old vinyl sent to me by an Elsewhere subscriber. Thank you Joeke, I am working my way through the pile and more such articles or songs From the Vaults will appear because of your generous gifts at Elsewhere in the near future. We've already featured others.